Out in the west Texas town of El Paso in May of 1894, a small group of congenial women gathered in the stately old adobe home of Mrs. Mills on San Francisco Street for the study of literature and current events. This was the modest beginning of an organization which has endured to the present day. The name “Current Topics Club” was changed in 1899 to the Woman’s Club of El Paso and the membership which was listed at 32 in the yearbook of January, 1899, was increased to 50. Dues were $2.00 a year. The programs consisted of one social meeting, one history program, and two current topics programs a month. The only reason for trying to keep the membership small was the lack of a place large enough in which to meet. One of these women, Mary I. Stanton, was a charter member of the Woman’s Club and a public school teacher. She had a wonderful library in her home and conducted a “Reading Room for Boys” in the old Sheldon Building to provide wholesome recreation for boys at a time when the streets of El Paso afforded doubtful forms of entertainment. This was the beginning of the establishment of the El Paso Public Library, the first children’s library in the U.S. Miss Stanton donated her books to form the nucleus of the library and the club members worked with her to establish it. These women were determined to bring culture and the arts to this wild and wooly town. They were movers and shakers in the community, determined to improve educational opportunities, beautify the city, and bring the finer aspects of life to a border town. They established the first kindergarten in the public schools in Texas, they paid for the first PE teacher in the high school, and they worked diligently for the pure food laws, city sanitation, food inspections, weed eradication, and preservation of San Jacinto Plaza. They sponsored, installed and maintained soup kitchens in the schools during the depression to feed undernourished children. During World War II they sold war bonds, housed the Red Cross and Surgical Dressing Unit, and loaned the club house for all war bond rallies, free of charge. They held the first art show, first flower show and first fashion show in the city. There was a time when the Woman’s Club was the only woman’s group in El Paso. Today there are hundreds: many were founded by Woman’s Club members inspired by the need of specialized work in various fields. By 1910, after moving from one location to another, the women began working for a clubhouse of their own and $375 was set aside to start a Club House Fund. They owned a piano and 125 chairs, which were constantly being moved for meetings. In November, 1910, Miss Thirza L. Westcott, a charter, active, associate, and honorary member, gave her home at 407 E. California Street to the club just a month before her death. The proceeds from the sale of this property about 10 years later helped greatly in paying for the indebtedness of building a clubhouse. Many gifts from business men, members and friends were also given, and construction was started in 1915. The site, corner of Mesa and River Streets, was chosen for the building. This included five lots on the northeast corner and was purchased at a special price of $8,500. It is interesting to note that when the members first began meeting in our clubhouse they would have to bring furniture, lamps, dishes, tray, utensils etc. from their homes in order to have their meeting in a furnished building. Through the years many improvements and additions have been made to the house and grounds. 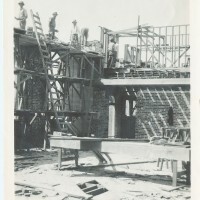 In 1930 a vast renovation program was undertaken. A beautiful stage, new draperies, dressing rooms below the stage, and a new heating plant were added. In 1944-45 the club was given an outside paint job as well as an upstairs apartment. A year later the lower parlors were redecorated and River Street was paved. Air conditioning was added the following year. Major redecorating to the clubhouse was done again in 1975-76. The kitchen was upgraded in 78-79. Our first grant from the Texas Historical Commission was secured in 1981-82 to do major restoration work on the outside of the building, which had never been worked on since it had been built and was in great need. A second grant was received about 18 years later to restore our stately auditorium windows and more outside work. The roof has been replaced about every 10 years, and in 2012 a new heating system was installed. There’s always something that needs our attention! And so as the years pass, our membership has maintained and upgraded this beautiful historic building at great expense. Treasured in the club building are many valuable and quaint furnishings and paintings, gifts of members and friends. Our clubhouse, built in 1916, was the first structure in Texas originally designed by Otto H. Thorman and built by H. G. Ponsford to serve as a clubhouse for women. It was named to the National Register of Historic Places in 1979 and officially designated a Recorded Texas Historic Landmark in 1980. We are very proud of our historic building and we work hard to maintain this architectural jewel. Our clubhouse is available on a rental basis for concerts, recitals, style shows, weddings, parties, receptions, luncheons, dinners, and community group meetings. 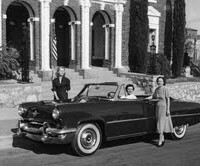 The founders of the Woman’s Club were at the forefront of El Paso’s history. Here are some of the early year “firsts” attributable to those outstanding women. 1887-Kate Moore Brown (Mrs. W. R. Brown), past president of the Woman’s Club, was one of two in the first class graduating from Central High School (the other graduate was a male). 1890-Kate Moore Brown is the first woman to ride a bicycle in El Paso. She was owner of the first lady’s bicycle in El Paso. She was the first to introduce the teaching of music in the schools and organized the first Music Teachers’ Association in El Paso. 1892-The first Kindergarten Association was formed by Olga Kohlberg, past president, and two other Woman’s Club members: Mrs. H.A. True, and Mrs. J.E. Townsend. The outgrowth of this was the first public kindergarten in the state of Texas. 1892-The death of a sick man left on the platform of the railroad depot, stirs Mrs. Kohlberg to form the Ladies’ Benevolent Association, which opened the first hospital in El Paso. 1894-The Woman’s Club of El Paso, originally known as the Current Topics Club, was officially formed. There were ten members and they housed themselves wherever they could find an empty room. 1894-Mary I. Stanton, a member of the Woman’s Club, established the first children’s library in the United States. 1895-Mrs. Leigh Clark was the first of five members of the Current Topics Club to assist Miss Stanton in the library. She was also one of the first directors of the library and served until her death in 1907. 1901-The Woman’s Club held the first large art exhibit in El Paso in Chopin Hall. 1903-The Woman’s Club promoted the first physical education classes in El Paso schools. 1910-Kate Moore Brown was a member of the first board of directors of the El Paso Schools for Girls (Radford School). 1911-Mrs. Charles Kinkel (Laura Mundy), of the Woman’s Club formed the first University Scholarship Club in El Paso High School. 1912-Mrs. W. W. Hawkins (Gladys Strickland), past president of the Woman’s Club, was the first to receive the scholarship for girls to the University of Texas presented by the University Scholarship Club. presented by the University Scholarship Club. 1915-The Woman’s Club established the first library at the County Hospital. 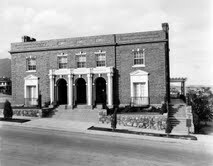 1916-the Woman’s Club of El Paso was the first in the state of Texas to own a club building. 1916-Three Woman’s Club Members, Mrs. Earnst Kohlberg, Mrs. W. S. Tilton and Mrs. Winchester Cooley, organized the first board of directors of the Cloudcroft Baby Sanatorium. 1920-American Women gain the right to vote! Passed by Congress June 4, 1919, and ratified on August 18, 1920, the 19th amendment guarantees all American women the right to vote. 1920-The first flower show in El Paso was presented by the Woman’s Club in the clubhouse. 1921-The first formal showing of paintings by Frederick Ellis was held at the Woman’s Club. 1921-Woman’s Club members were the first to introduce the Little Theatre to El Paso. 1921-El Paso’s first professional style show was presented in the Woman’s Club by the Popular. 1924-Mrs. A. P. Averill, a past president of the Woman’s Club, was one of the organizers and first president of the Women’s Association of the College of Mines. 1924—The first Woman’s Division of the Chamber of Commerce was organized by WC member, Mrs. Percy McGhee. Kate Moore Brown served as chairman-director for the first two years. 1926-The first exhibit of Pablo Fischer’s paintings in El Paso was held in the woman’s Club on April 28. 1931-The first permanent organization of the El Paso Symphony Orchestra occurred. Six Woman’s Club members were among the officers. 1939-Kate Moore Brown was the first chairman of the El Paso International Museum Board.